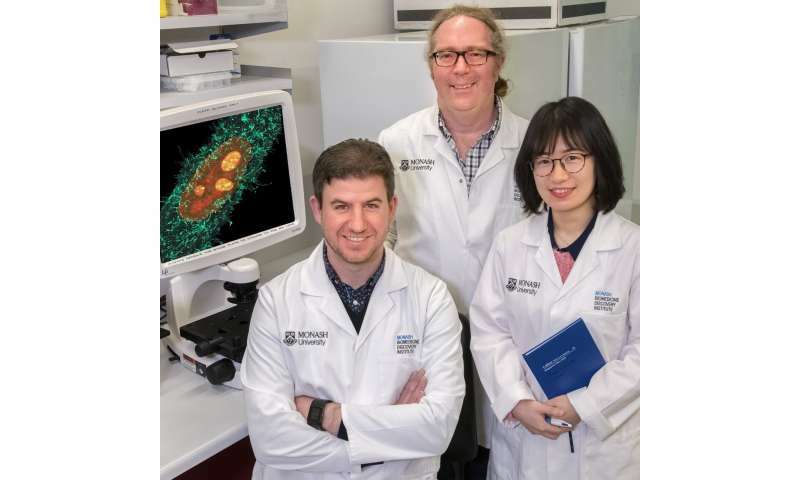 A collaboration of scientists, led by Monash BDI's Dr. Gregory Moseley, found that Henipaviruses hijack a mechanism used by cells to counter DNA damage and prevent harmful mutations, important in diseases such as cancer. Dr. Moseley said it was already known that the viruses send a particular protein into a key part of a cell's nucleus called the nucleolus, but it wasn't known why it did this. "What the virus seems to be doing is imitating part of the DNA damage response," Dr. Moseley said. According to Dr. Moseley, it is possible that blocking the virus from doing this may lead to the development of new anti-viral therapies. "Nipah is not so important in Australia but it's the one people are concerned about internationally," Dr. Moseley said. "This seems to be heading towards exciting possibilities about what viruses might be doing," joint first author, Dr. Stephen Rawlinson said.